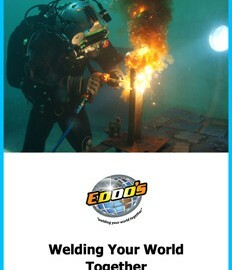 Edoo's Welding & Industrial Supplies Co. Ltd.
Edoo’s Welding & Industrial Supplies stays true to lofty mission. 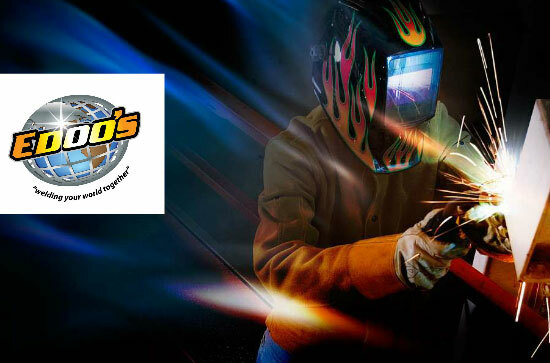 Edoo’s Welding and Industrial Supplies was founded in 1979 by its namesake, Haji Habib Edoo, and is the leading distributor/agent of welding and industrial equipment, machinery, parts, safety equipment and accessories in Trinidad & Tobago and across the whole Caribbean region. The company, which is a member of the American Welding Society, the American Chamber of Commerce of Trinidad & Tobago and the British Chamber of Commerce, aims to transform the industry by offering its expertise and diversifying its repair departments through a constantly upgraded staff. The company began when the grandfather of the incumbent chief operating officer, Imzaan Edoo, decided to invest in a business after a career spent in the welding industry. Edoo’s father, Imtiaz, took control of the operation soon after, and the youngest member of the three-generation trio spent his childhood tagging along after school before becoming a full-fledged participant about a decade ago. Foreign investment in the oil-rich twin-island nation was largely responsible for the creation of the complementary service industries that sprung up and made the fledgling operation feasible. Only two or three strong competitors existed in the welding space back then, but even more investment and even more oil discoveries – in addition to other domestic construction – resulted in a more crowded market. But not one in which the company has lost its place, Edoo said. The corporate umbrella these days covers myriad businesses – including ones involved in warehouse leasing and security – in addition to sponsorship of a company motorsports team for whom Edoo himself drag races motorcycles, both in the country and at tracks across the Caribbean region. A simple online search, in fact, yields a vast collection of still images and videos of him speeding past. “It’s pretty good. I’m the best in the country, I guess,” he said. “It is a big sport here, but we have a lot of red tape in terms of the government building tracks. We have one track, but it’s like an old airstrip. It’s nothing really solid. They don’t invest much into the sport – they invest in other sports like cricket and football – so all the enthusiasts have to travel to Grenada, St. Lucia and even some go to Florida. The cadre of companies are run separately and don’t operate under the same roof, Edoo said, those his executive position with the overarching Edoo’s Group means an across-the-board oversight role. 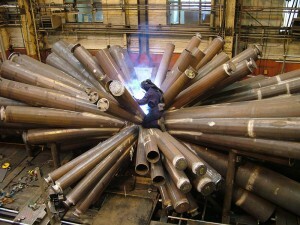 The welding operation has 60 employees across two branches in Trinidad and another on Tobago. There are no physical locations outside the country, but business is done with off-island clients in St. Lucia, Barbados, St. Vincent and Grenada. Trinidad is the largest welding market in the region, due both to its own significant energy business and the comparative lack of activity in other regional locations. Most of Edoo’s customers come in the form of domestic manufacturing businesses, and the company also holds a weekly in-house training session so vocational students can get a hands-on feel for the sorts of equipment they’ll be working on after graduation. Other revenue comes from the construction and oil industries, and the company does additional wholesale equipment sales to rural hardware stores. The emphasis on education and training, Edoo said, sprang from a forward-thinking mindset. “We’re trying to get the younger generation more involved in welding, and trying to show them that there are other professional careers and other options that you can make a future from,” he said. “About 35 percent of the students that graduate from school because of our program, they come back to us and say that they got into a career and are doing welding. The company’s main objective, specifically for the next five years, involves gathering market share. 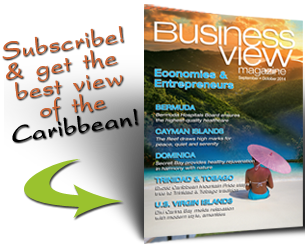 “We’re trying to up our service and we’re trying to facilitate every customer the best we can and we’re trying to expand more on the wholesale side, especially for Tobago and the rural areas in Trinidad,” Edoo said. “We’ll be diversifying in some other items that go along with this type of industry – welding and fabricating. And we’re trying to get Trinidad up to speed with robotics in welding. “It’s going slow on some things because I know that a lot of companies don’t want to invest a lot of heavy capital. 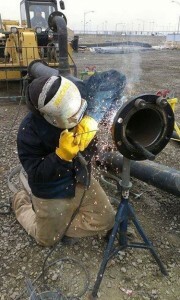 But we’re trying to push that and we’re trying to lean in the direction of the future of welding in Trinidad. We want to stay in a positive direction. We can bring the future faster than normal. WHO: Edoo’s Welding & Industrial Supplies Co. Ltd.
Adam’s Project Management & Construction Ltd.
Quintana Sales & Services Ltd.